From what I can tell, most people writing about Dishonored: Death of the Outsider (which I just finished) center on how its no longer judging players for killing was very liberating. I certainly agree, but playing it and other recent stealth games further confirmed something else for me: I tend to not enjoy stealth games as much when they judge you for not being stealthy. Every year I seem to count a different number of “top” games I played. I don’t like having to struggle to figure out a top 10 or top five or whatever. Do the academy awards have a set number of nominees they have to have every year? I just go over whichever games in a year actually stood out in terms of quality as well as how continually drawn I am to them, no matter what number they come up to. In 2014 that number was pretty much zero (maybe one), this year it’s three, listed in order below. Is Mobile All-Bad For Konami (And Metal Gear)? Recent events have not been great for fans of certain Japanese entertainment. If you want to understand these trends in video games, anime, and other industries, there’s a blog post from a few years ago I’m pretty much just writing this post to bring attention to. We have Konami seemingly almost abandoning traditional console game development, one of the worst weeks for traditional video games in Japan’s history, and now the Neon Genesis Evangelion creator predicting the fall of anime within a decade. Konami’s turn in particular has been a major milestone in a trend we’ve been seeing for years now of Japanese games turning away from the traditional games the dedicated fans like and towards the mobile games they hate. Then you’ve got many anime and Japanese games following art and narrative trends like “moe” that look increasingly creepy to a lot of people. If you haven’t heard by now, for a few weeks people have been up in arms about the supposed length of Konami’s upcoming Metal Gear Solid V prologue Ground Zeroes as well as its price. It got to the point where the company’s people, including Hideo Kojima himself, had to defend it. I don’t see it as cut-and-dry as a lot of other people seem to. I just don’t believe the idea of dollars per hour of entertainment applies to games. Basically, journalists came back from preview sessions saying Ground Zeroes could be completed in less than two hours. Add to that the fact that some might be paying as much as $40 for it and it looks like a pretty awkward value proposition right? Based on everything I’ve heard about Ground Zeroes, and really my experience with video games in general, I find myself willing to wait and see. The variable price is probably an issue. The digital PS3 and Xbox 360 version of the game is $20, the physical PS3/360 and digital PS4 and Xbox One versions are $30, and the physical PS4/Xbox One version is $40. Nobody else has done this — setting price based on console generation. I’d probably feel better if all versions were just at the minimum $20 price point. My main issue here though is, I don’t think you can really accurately judge the “length” of a video game. At least you can’t do it in the same way as a book which has a definite number of words, or a movie which has an exact runtime. A game might have an average or minimum completion time, but in my experience it still varies wildly based on the player and the structure of the game itself. I paid $20 for Gone Home which for most people I think takes around two hours to complete, but if you play it right the game can actually be completed in around a minute. People can also probably spend much more time on it. It’s possible to blaze through the first Mass Effect game in around 15 hours, some people spend as much as twice that amount of time on it, I’ve gotten around 120 hours of entertainment out of that game. This changes even more wildly if a game is open-ended. If a game is linear then it’s fairly easy to determine its “length” since everyone who plays through it will have a very similar experience. Maybe people assume this of Ground Zeroes because that’s how past Metal Gear games are, but Kojima Productions has been adamant that Ground Zeroes is a stark departure. It’s not a massive sandbox like the full game The Phantom Pain is supposed to be, but Ground Zeroes is still supposed to focus on player choice. It’s meant to have multiple routes to completion, which by nature would make people’s experiences vary more wildly. That doesn’t even bring replays into the equation, which Kojima himself pointed out in his defense on twitter. I’ve paid $60 for games that are pretty much only a singleplayer mode that can be beaten in five hours, and gotten much more time out of replays because of how good they are. That brings me to probably my most important point — raw length kind of doesn’t matter in my experience. At what point did we start judging a game based on whether it’s long enough to be worth the price instead of whether it’s good enough to be worth the price? If Wikipedia is correct today should be the 15th anniversary of the release of the first Silent Hill game. Konami’s probably not gonna acknowledge this at all and I don’t know of many other people who plan to so I thought I might as well give it a shot. I’ve never been a massive fan of the series but I did play and enjoy the games a few years ago on a bit of a retro odyssey and was surprised at the franchise’s criminally rare approach to video game storytelling. Maybe it’s right I talk about SH now since horror seems to be a popular genre in the indie gaming scene, and this is seen by many as one of the few franchises in the retail space that got it right. It’s a little bit difficult to describe what’s appealing about SH and what value the franchise may even have anymore since it’s been nearly a decade since the last truly good entry (in my opinion). Even Konami probably doesn’t get it anymore. If I have to try though, I’d say the people who made SH actually “get it” when it comes to how stories and worlds should be presented in not only video games, but fiction in general. It seems like every video game in the retail space these days is trying to be epic and that usually includes a large-scale story. Even back in the day most game stories were either shallow excuses for the player to fight things or adolescent attempts at drama. In the midst of this SH actually brought players modest, smart, character-driven stories that had a degree of subtlety that’s still rare in today’s games. A big part is how Team Silent understood symbolism and embedded it pretty well into not only cut scenes and dialogue, but in everything you saw and did in the world. The monsters you encountered, the look of the environments, even the game mechanics meant something if you paid enough attention. I think this is something Konami partly forgot when it decided to co-op enemies like Pyramid Head and the nurses as essentially the franchise’s mascots, forgetting they appeared in Silent Hill 2 for a specific reason. Its story is probably the main reason SH2 is considered the best game in the series. For starters, it abandons the original game’s quest to explain the mystery of the eponymous town and simply uses it as window-dressing for nothing more than a character-driven story about a group of people and their flaws. No epic save-the-world thing going on, just a game about some human beings. And the tact with which Team Silent handled this is arguably unmatched in the franchise and probably horror gaming in general. For a lot of people, SH2’s story hit hard too. Depending on the ending you get it’s one of the most depressing storylines in gaming. Sadly, for Silent Hill 3 Konami forced the team to refocus on the “main” story, making SH3 into a direct sequel of the first one. SH3 is still one of the better games in the series though, doing a pretty good job with that story. It also still looks rather amazing for a game that came out in 2003. A lot of people talk crap about Silent Hill 4: The Room, but I still liked it. It’s very different structurally from the others, but I honestly enjoyed the way it told its story. In fact let me talk a little about SH4 just to give the game its due. The whole game is basically about one apartment building and its handful of occupants. It’s a rare example of a game that, instead of going for breadth, takes a small location and digs deep into its environment, its story, and the people in it. The effect is that it really laser-focused my attention on the storyline that developed therein. The later, western-developed SH games are obviously less popular than Team Silent’s originals, but I think I have to at least give Shattered Memories its props because it actually did a good job with its story. I’ve been trying to not spoil anything throughout this whole post, so I’ll just say SM manages to deliver a pretty twisted psycho thriller story that takes multiple playthroughs to really wrap your head around. In fact, that’s probably what really sets apart the whole series: It’s the only really good example of a video game psychological thriller in my opinion. The stories are largely about what’s happening in people’s heads. A lot of big-budget games actually try to do this today, but SH actually goes into the subtleties of a character’s head, weaving narratives you have to do a double or triple take with to even begin to fully understand. Its characters are revealed to be surprisingly deep once you really dig into them. The character designer for some of the older games actually wrote a really smart article at Gamasutra about character design and character writing in games. He basically criticized how shallow characterization is in a lot of video games, lacking the deeper layers that can really make a person interesting. He went into how a character’s face and overall design can tell their history while many other designers just think about how to make them look more badass. The other thing that sets SH apart is its unique approach to horror which relies on atmosphere way more than the rest of the genre, which is really a crime in itself. The SH games are some of the only ones I can think of that try to freak you out with what you don’t see. It loves using atmospheric effects — especially sound, and environmental cues to freak out players. Not until Amnesia did I see another game that tries to be scary simply by making its environments oppressive. Meanwhile we’re stuck with modern games like Dead Space that just have ugly enemies in your face all the time because they think it’s scary. SH in its prime was and even remains a rare example of a game that tries to mess with the player’s head. This is one aspect I think Shattered Memories missed, but that game at least did some really interesting things with its mechanics and controls. It essentially used the Wii remote to create the most technologically advanced point and click adventure game ever. It’s a good adventure game, just not a scary one. What would it take for us to get another SH game that extols the virtues that made the franchise popular in the first place? I mean, the last entry was some kind of mobile Diablo-style thing. For starters it would take Konami willing to be something other than the Metal Gear and Pro Evolution Soccer Company. Sadly, big game publishers in gaming today are only about sure-bet big franchises, and that’s just not what SH is meant to be. The SH games at their best are like the gaming equivalent of a mid-budget suspense movie, not a blockbuster. 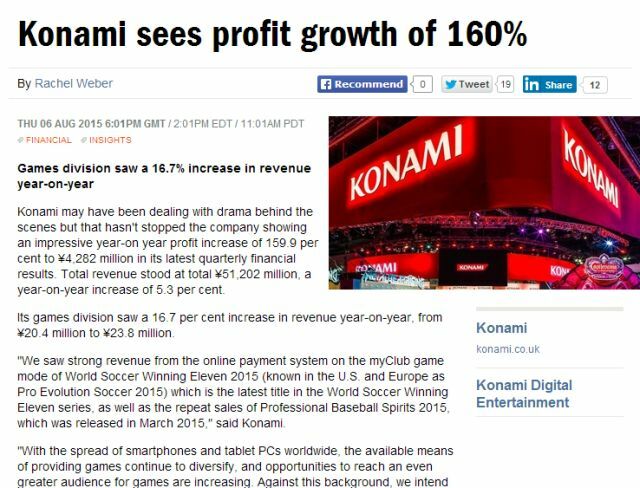 Konami would need to realize that and be willing to put resources into a game for a specific audience. With what indies have been able to do with games like Amnesia, that would probably mean putting a small team on a digital-only game. This is becoming typical of everything that isn’t a shooter though. What’s happened to horror also happened to stealth games and even Japanese RPGs on consoles. There’s no space in the retail arena for the niche anymore. Most memorable SH moment: The execution yard in the underground prison in SH2. No enemies at all, just the creepiest freaking room ever that you have to search thoroughly but you can’t wait to leave. If you want to get into the series now, avoid the HD collection. They really screwed that one up. Either track down the PS2, original Xbox, or PC versions of the games. Where failed pitches go to shine. Somewhere to keep thoughts on things. I hear you like games. So do we.